RANS introduced the Fusion in 2003. The Fusion is a comfort bike that is easy for almost anyone to get on and ride away. 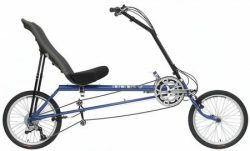 It has most of the comfort of a recumbent bike with almost none of the learning curve. 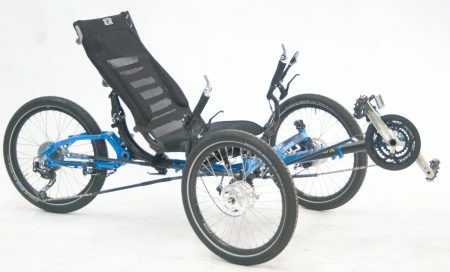 The Fusion design is half way between a Comfort bicycle and a recumbent bike. 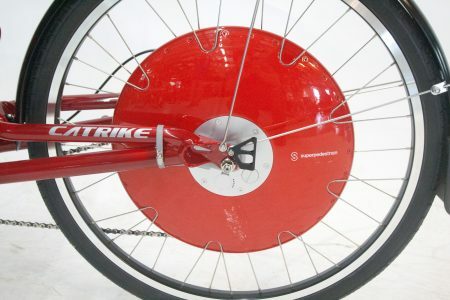 It puts the pedals farther forward than on a comfort bike. 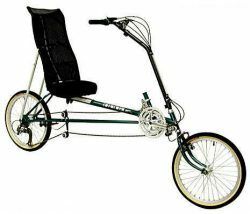 You can easily reach the ground from the seat even when it is adjusted to give you maximum pedaling ease. When adjusted for a shorter rider the seat is only 25″ high, for a tall rider it is still only 30″ high. The Fusion can use a very wide comfortable seat without chafing your thighs like a seat this size would on a regular comfort bike. Because the pedals aren’t under the seat, the seat doesn’t have to fit between your legs. 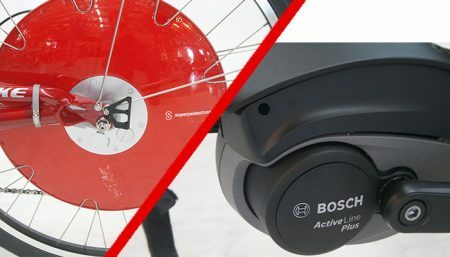 You can not stand up for more power on hill climbs like you could on a regular comfort bike. 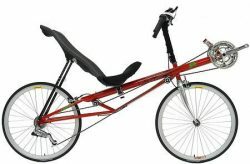 You do not have the aerodynamic advantage of a recumbent on flat roads and downhills. For 2004 the Fusion has an improved seat post with a keyway to keep the seat from tipping to the side. It also has a quick release do you can adjust the seat position without tools. The Fusion frame is made from 4130 Chromoly Steel, keeping the bikes weight down to 29 lbs. 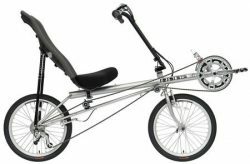 This is a few pounds lighter than any recumbent in its $829 price range. 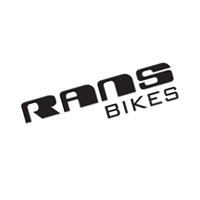 The RANS Top-Loading stem means you can change handlebars to customize your bike if you want to. 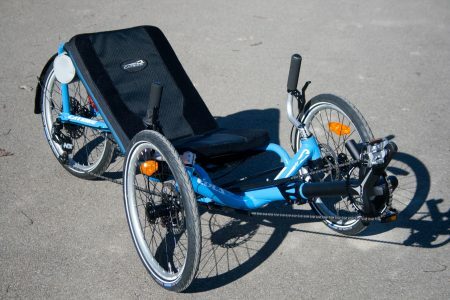 The 50-inch wheelbase makes it more compact and maneuverable than most recumbents too. 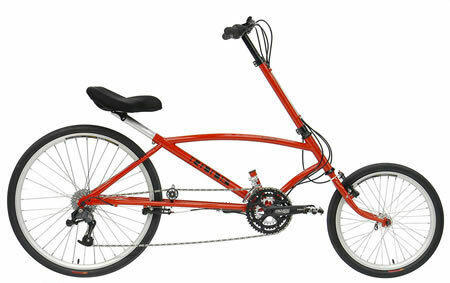 The Fusion comes in one size making it easier to fit a variety of riders than a comfort bike. The seat adjusts 9 inches to fit most riders from about 5′ to 6′ 4″. If you are looking for performance this is not the bike for you. 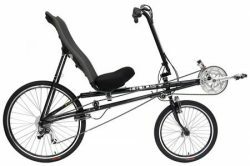 For a rider seeking the comfort of a recumbent with the compact convenience and familiar handling of a conventional bike, the Fusion is worth a test ride.